Actor Vijay in Ek Tha Tiger Tamil remake? Actor Karthi's Alex Pandian Goes to Mollywood! Maattrraan movie all areas sold out! The film is close on the heels of completion and the post production works are on complete swing. The makers are planning to release the film on the festive occasion of Diwali while the audio launch is scheduled for somewhere in mid-of-September. Shedding lights on the film, A.R. 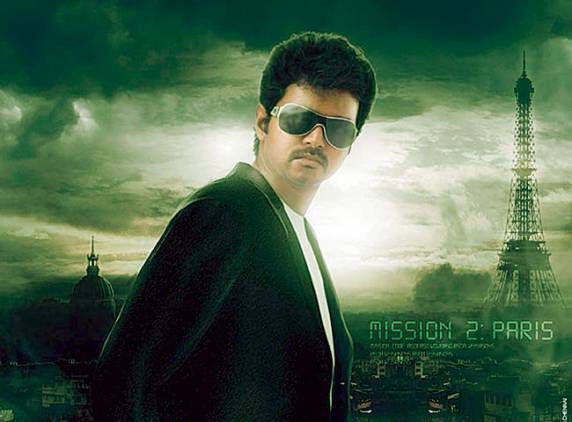 Murugadoss says, "Don't perceive this film to be a hard action drama. It has lots of commercial elements and the romantic scenes between Vijay and Kajal Agarwal will be one of the greatest highlights in the film. The comedy sequences by Sathyan will be an additional attraction. "Recently, a romantic song featuring Vijay and Kajal Agarwal was shot in foreign location. 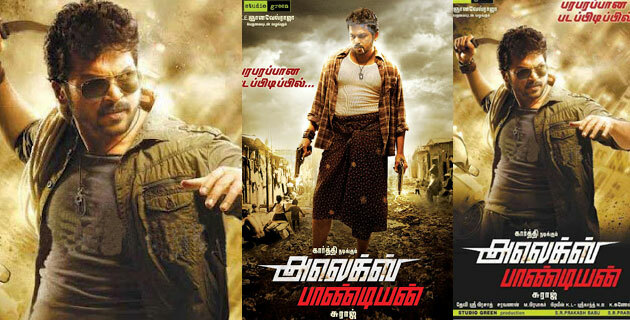 It looks like Young Superstar Silambarasan will have a box office clash with big stars Vijay and Suriya. It seems that producer SS Chakravarthy of Nic Arts is planning to release Simbhu's 'Vaalu' on festive occasion of Diwali, which makes it a competition to Vijay's 'Thuppaki' and Suriya starrer 'Maattrraan'. The film is reported to be a fun-filled romantic entertainer with more space for humour. Of course, with Santhanam and VTV Ganesh coming together on the screens, there aren't going to be dearth of humour elements. Hansika Motwani, who plays a gangster in Simbhu's 'Vettai Mannan' shares the screen space with him in this film as well. Jai is playing a cameo role in this film and it's worth mentioning that he is performing an important character in 'Vettai Mannan' as well. Director Pon Kumar and actress Priyamani are sure as shooting the stars now. They are confident that the film will gain critical recognitions for the entire team. According to the sources, the film is touted to be a spine-chilling horror movie featuring Priyamani as conjoined twins (the one with specs while the other one is normal). Their lives are happy until they fall in love with the same person and he insists them to undergo surgery so that he can marry the one he loves. Unfortunately, the one with specs passes away during surgery and soon haunts them as ghost. If you think, it's a normal ghost story; you're wrong for there's an unexpected twist at the end that will send you high on adrenaline rush. Ever since Salman Khan's Ek Tha Tiger became a roaring success, there is a lot of demand for its remake. The latest buzz in k-town is that Vijay will be seen in this commercial success. Though many filmmakers are in the race to bag the remake rights, we hear that Jayam Raja is keen on getting the project. Also he wishes to rope in Ilayathalapathy Vijay in the remake. 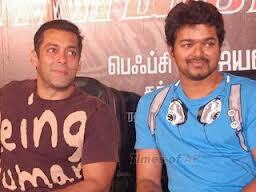 The duo who had earlier worked together in Velayudham (again a remake of a Telugu film) was a commercial hit. Vijay & Jayam Raja who are known for remaking films (from other regional languages) that become a huge success are said to be a good combo for this Kabir Khan directed Ek Tha Tiger, produced under the banner of Yash Raj, which featured Katrina Kaif in the lead. We hear that Raja wants Vijay, as he feels that Ilayathalapthy will do justice to Salman's role in this action-romantic-thriller, which talks about the life of a secret agent, who is on a mission. In fact, reports also suggest that Vijay is the favorite choice of many directors. Ek Tha Tiger though got mixed reviews from critics for not having a very appealing story-screenplay, the film drew a huge crowd on the Independence Day release (though being a Wednesday) and the success continued over the weekend. It has made huge Box Office collections and is said to have collected Rs 100 plus crore in 5 days in India. Shriya Saran, who is determined at making news this season, plays a last generation princess in Kannada - Tamil bilingual Chandra. She performed a Kalari fight sequence recently. Says Shriya: 'Shot for a Kalari at a temple, barefoot! Those swords were heavy and painful. Wonder how those fighters won battles and conquered kingdoms'. It's a scene shot at the Nandrigram in Bangalore. The team is said to have shot there for more than two days and it features Shriya in a Kalari duel with her master, Prem, and it's more of a romantic duel than an actual fight between the duo. 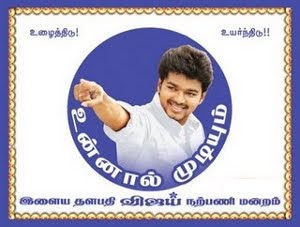 Although unofficial it was very much known to one and all that Yohan Adhyayam Ondru has been shelved, but both Ilayathalapathy Vijay and Gautham Menon remained tight lipped about this. Finally, Gautham opened up on this front. "To all those who have been asking, Yohan with Vijay is not happening. No film with Vijay now", he said. He also added that Vijay is doing a film with director AL Vijay post Thupaki and that he (Gautham) is currently busy with Neethanae En Ponvasantham. Following this the director is touted to start work on Thupariyum Anand with Suriya. It's said that there were differences of opinion between the director and the actor regarding the film and the duo decided to part ways amicably. Karthi starrer Alex Pandian is getting bigger and bigger. Just recently, it was confirmed that the film will be dubbed in Telugu and released under the title Bad Boy. And now we have the news that the film is to be dubbed in Malayalam too. Karthi enjoys immense popularity in Andhra Pradesh and Kerala besides his home state Tamil Nadu. Owing to this, the filmmakers have decided to cash in on his popularity by dubbing Alex Pandian in Telugu and Malayalam. The film is directed by Suraaj and stars Anushka Shetty as Karthi's on-screen pair. Devi Sri Prasad has scored the music for this film which is produced by KE Gnanavel Raja under his banner Studio Green. The First Look posters of Thillu Mullu do away from regular suave posters and are quite funny and reflect the theme quite well. If you have wondered whether the epic saga can be remade, the First Look posters clear your doubts as they showcase the film visibly modified to the contemporary means. Starring Shiva, Isha Talwar, Thillu Mullu remake by Badri will be produced by Madhan under Vendhar Movies. Music is by MSV and Yuvan Shankar Raja. Prakash Raj, Kovai Sarala, Sathyan will be seen in important roles.The posters show Prakash Raj caught between Shiva as an uber cool youth practicing martial arts and another in a 'Nehru kurta'.How do you like these first look posters of the remake? Do you think it will par up to the original? Actress Sadaa is currently busy shooting for her Tamil-Telugu bilingual, Mythri. Directed by Raju, this thriller has her paired opposite Navdeep. Sadaa, who was recently in Chennai to shoot for the film, says, "I play the titular role in this film and I'm thrilled with the way my character has been etched." She adds, "I play a US return, who is in her ancestral town to take care of some property-related issue. She's very down to earth, and believes she has to do everything she can to help the less privileged." Meanwhile, Sadaa, who recently shot for a song in Sundar C's Madha Gadha Raja, is also working on another Telugu film. "I've been getting offers from Kollywood for female-centric films, but I'm not in a rush now. I would like to take it slow," she says. Director Shankar is among the soft-spoken persons in the film industry despite being called as the Showman Of South Indian Cinema. But, when it comes to his films, Shankar is a stickler for perfection. This is why he allegedly asked Brit Beauty Amy Jackson, whom he has cast opposite Vikram as the female lead in I, to keep her partying ways in check until the end of the shoot. Apparently, Amy was turning up late or with sleepless eyes for the shoot and Shankar who likes to make his heroines as vivacious as possible on screen was quite upset with the output of Amy's scenes as the actress looked far from being fresh due to her late-night gigs. The concerned filmmaker called Amy aside and told her in no uncertain terms that she has to stay away from the party circuit until the end of his film's shoot as he doesn't want it to disrupt his film's outcome. We hear that an embarrassed Amy realized her folly and promised Shankar that she will mend her ways. Now, looks like this is one girl who will take constructive 'advice'. 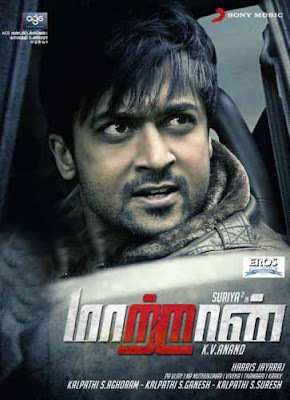 All areas of Suriya's KV Anand directed Maattrraan has been sold out with the last of the territories Kerala being purchased by Mandya Srikanth. The film produced by AGS Entertainment is an action thriller which has Kajal Aggarwal inthe female lead with music by Harris Jayaraj. Trade wise, Maattrraan is Suriya's biggest film till date. The Tamil Nadu theatrical rights were sold to Eros International for a whopping amount. The Telugu dubbing and distribution rights were bought by Bellamkonda Suresh's Multi-Dimensional Films for a record price of 17 crores. The Karnataka theatrical rights were sold to 'Mandya' Srikanth for Rs 4 Cr and he has now purchased the Kerala rights too for a rumoured Rs 3 Crore. Srikanth who had earlier distributed Suriya's 7aum Arivu had also purchased its Kerala rights which were later sold area wise to Kerala distributors. Maattrraan audio which was released in Singapore is a runaway hit. The audio got a big boost when it set a record for maximum downloads and listens among this year's releases. Maatttrraan is scheduled to release for Vinayaga Chathurthi on September 19 worldwide. SA Chandrasekar's Sattam Oru Iruttarai, which had Vijaykanth in the lead is now remade again which has been given a new title Thozhan. The film is produced by actor Vijay, who ventures in to production for the first time, alongside his father SAC. The film is said to be directed by Sneha, niece of Vijay. The movie stars Tharun Kumar, Reemma Sen, Bindhu Madhavai and Piyaa Bajpai in the lead. Only recently the crew went to Hong Kong to shoot some important scenes and song sequences. Vijay who seems to be participating in the production work, paid a surprise visit to the sets and the cast & crew members had fun with the actor. The movie has music by Vijay Anthony, cinematography by CJ Rajkumar and art by Vanaraj. The director told media that though they have retained the story, they have made some minor changes in the script to suit the current audience. Shahrukh Khan has been shooting non-stop for Yash Chopra's untitled film. He has two beautiful heroines Kartrina Kaif and his Rab Ne Banadi Jodi Anushka Sharma to romance in this romantic saga. The film's first look teaser was unveiled only a few days back, even before the film has been given a title. The film's music score by AR Rahman and is for the first time that he has collaborated with the YRF banner. The lyrics are penned by Gulzar. The film is expected to be a Diwali 2012 release. 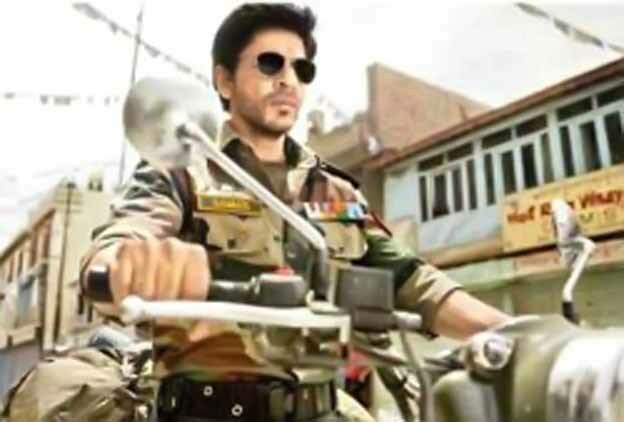 The latest news is that SRK plays an army officer named Samar in this flick. His look in the film where he sports the stubble look ( the kind we have seen and drooled over him in Chak De), a black sunglasses with a rustic touch to it, wearing army officer's uniform and rides a bike! Full marks to this King Khan and he looks awesome!